In the weeks leading up to our Mount Desert Island (“MDI”) weekend, we stumbled upon this list of the best bike ride in each of the 50 states, according to Bicycling Magazine. Coincidentally the ride in Maine is the Cadillac Challenge Loop, which covers all of MDI, including Cadillac Mountain. The description on the site reads: “Pedal these 98 winding miles through Acadia National Park and you’ll pass rocky cliffs, secluded coves, and lighthouses—and climb up 1,530-foot Cadillac Mountain, the park’s high point and the first spot in the United States to catch rays from the rising sun.” Sounds great, right? 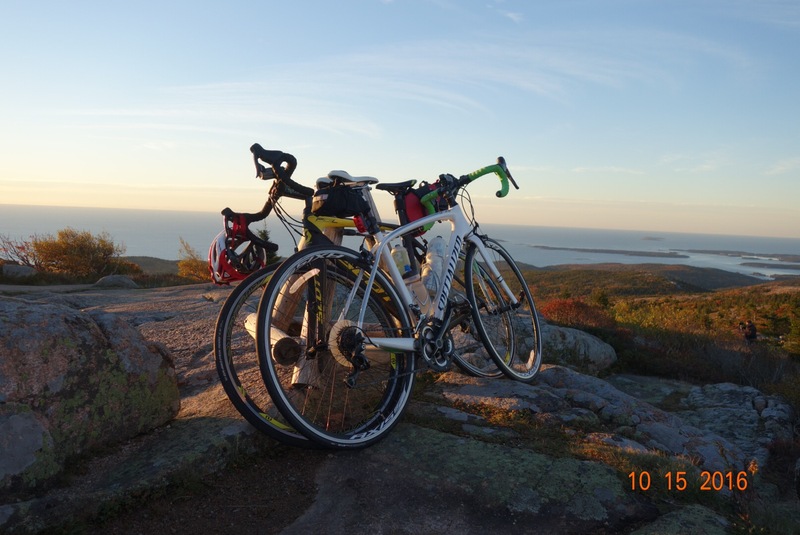 It did to us, so we planned to tackle the challenge on Saturday, but with a slightly modified route so that we could start/end at our campsite and ride up Cadillac Mountain at the beginning to see the sunrise.